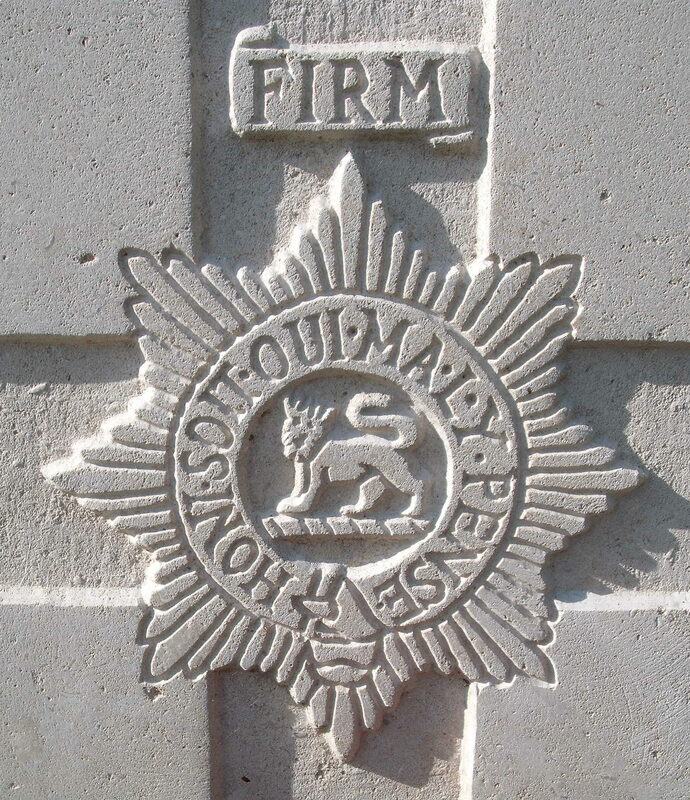 'B' Coy, 1/8th Bn, The Worcestershire Regiment, 75th Brigade, 25th Division, B.E.F. James Spilsbury, born in Malvern Link, was one of a stallwart family of Malvern Territorial soldiers. Their father, Albert Edwin Spilsbury was for many years the Colour Sergeant at the Drill Hall on Albert Park Road. At least three of his sons, Edwin, James and Albert joined the 8th Worcesters – the first two joining at 16 or 17 years of age. 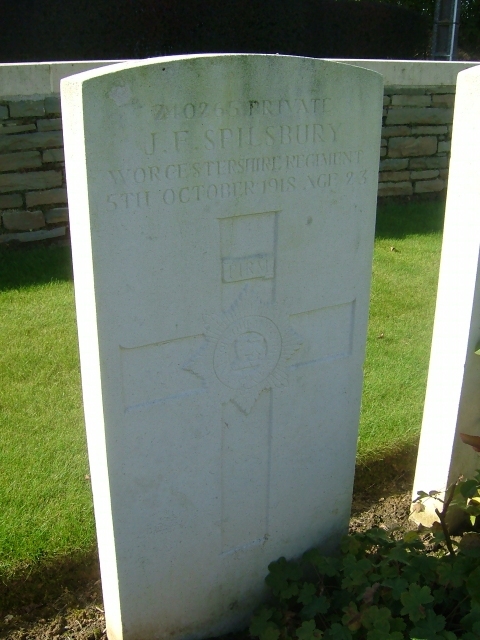 Spilsbury suffered from synoytis of the knee in May 1915, but does not appear in the casualty lists again until he was killed during the attack on Beaurevoir, where the village and 205 prisoners were taken.